For people who live in areas with frequent inclement weather, a dog treadmill can be the perfect solution for keeping obesity and heart disease at bay. Treadmills for dogs have a wide variety of uses, however, such as helping your dog stay in shape, even if he lives in a high rise apartment. 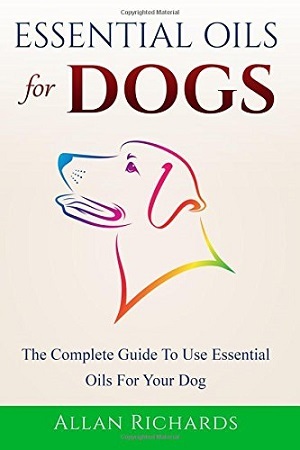 They are also helpful for dogs with disabled or elderly owners, who may not be able to walk them as often as they need. In areas of the world like Seattle, WA, and London, days are often filled with rain or snow. These weather conditions during walks can often lead to tripping or falling for humans and pets alike. Dogs can easily slip on ice and injure limbs or become frost bitten. In other areas such as the deep Southern region of the United States, long walks can lead to burned pads from walking on hot concrete. In addition, it’s difficult to take dogs on extended walks due to heat stroke risks. Some breeds also require extensive amounts of exercise that are difficult for owners to maintain. For example, Siberian Huskies are bred for pulling light weight sleds very quickly. They thrive on the ability to run, and can actually become anxious and hyperactive. They can actually develop behaviour problems because of their increased energy level, unless it is met with exercise. Keeping your pet healthy, however, is of utmost importance even in the worst of weather conditions. Particularly if your pet suffers from arthritis, diabetes or cardiac conditions, your veterinarian may recommend an exercise regimen to keep excess weight from developing. When a dog is overweight, it places increased pressure on joints and limbs. This can lead to severe limitations later in life such as hip dysplasia. Obesity also has its own set of risks, such as respiratory difficulties, digestive issues, aggravation of arthritis conditions in dogs and generally a decreased quality of life. While a good diet is part of keeping your dog healthy, a good exercise routine should also be included. Don’t mistakenly think you can just use your human treadmill as a dog treadmill, however. A dog treadmill has special safety features, such as side guards to prevent injury, that aren’t on human treadmills. 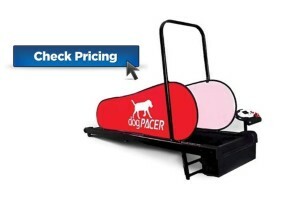 DogPacer, in particular, offers a selection of dog treadmills that not only will help your dog stay healthy, but they are compact for those who do not have an abundance of space for exercising their pets. After all, those who live in small spaces often need doggie treadmills more often than those in large homes with lawns. Below are two of their popular models that are sure to be fitting in more ways than one. DogPACER LF 3.1 Dog Pacer Treadmill : “The Worlds Only Folding Dog Treadmill” and Portable and Compact : When folded, this space saver is only 42 by 22 inches, and at only 8.5 inches high, it slides underneath most beds. While being used, it is 76 x 27x 46 inches, still taking up less room than most treadmills designed for humans. It weighs around 80 pounds, however, so those who have trouble lifting may want to consider leaving this dog treadmill in its running position. It features an incline from 5 to 9 degrees and is made of a reinforced steel frame. 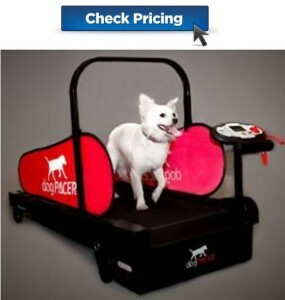 Best of all – this treadmill can be used for ANY dog up to 180 pounds. The DogPacer’s onboard computer has pre-set exercise programs built in for your dog or you can create your own programs to suit your pets training needs. Retail price for this model is around $750, but it isn’t unusual to find them for as little as $500. MiniPacer Treadmill: This compact dog treadmill is perfect for dogs up to 55 pounds, and although its name doesn’t boast it, it actually collapses for portability as well. The top handle and side guards can quickly be removed so the unit can slide under a bed. It has customizable settings for speed as well, although the incline is set to a 4.5 degree angle. Assembled, it is 42 by 21.5 inches, standing 28.5 inches high. Since this treadmill only weighs less than 50 pounds, it’s much more convenient for those who have trouble lifting, or will frequently want to move the treadmill. These are commonly priced between $500 and $650. Overall, both dog treadmill reviews show them both to have been rated highly on a consistent basis. 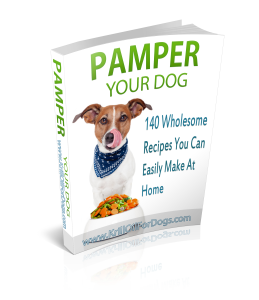 Pet lovers who have purchased them rave about how convenient and easy to use both of the models are. Because they can both be tucked away when not in use, they make excellent additions to apartment living. While it’s worth noting that the MiniPacer is a great doggie treadmill for small dogs, both types of dog treadmills reviewed here are well suited to keep dogs in the healthiest condition, regardless of the weather.